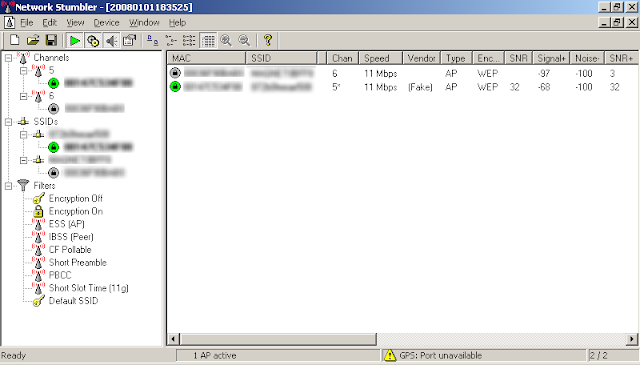 Also read How to find a better wi-fi channel (again) [Feb 2013]. Download and install NetStumbler, best to run when your neighbours are using their wireless routers. The best channel to choose for your wi-fi network would be the one that's not used by any other network and that gives you the best SNR. Choosing the best channel may not improve transfer speeds, but will give you a better wi-fi connection and less connection drops. If the next day you find the signal drops or it starts disconnecting, that usually shows that another neighbouring wi-fi network popped up and you'll need to redo the process and find another channel. Only hope is that your neighbours are normal folks and they don't start switching channels as well :-) Some routers have an option to choose a clear channel, you could try that (on my 3Com wi-fi router the channel drop-down has a "Clear Channel Select" option). ASUS R2H: Don't set the router to channels 12 and above as the R2H driver doesn't support those, even if you are living in Europe. Usually there is a driver property that sets the region (certain channels are allowed in certain regions, see here for details), but not on R2H. 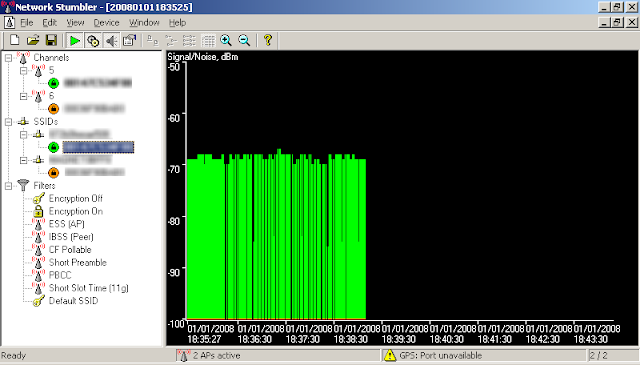 As NetStumbler may not work on Vista you can use Vistumbler or inSSIder to track signal strength. first a'm sorry about my english. thanks for information its very good for me.but I wana aske you about proble ihave in my internet. to the hose and using access point in d-link dwl 2100ap in workplace and engenius wireless lan in hose. but i got good signal but bad internet specily in browsing. 1 Mb/s. and i got in download in my hose 256 Kb/s. if you can help me pleas send me an e-mail (oarfx83@yahoo.com) thank you very mach again. Hi Omar, my first reader from Iraq, welcome! :-) oh I see you sent me an email as well, I'll do my best in replying over there then. nice article. I actually just tried the program. It doesn't seem to work with my wifi card. "No wireless adapter found" or something like that is all it says at the bottom and it finds nothing. Any suggestions? I have vista and ubuntu. I can have windows 7 instead of vista if needed. 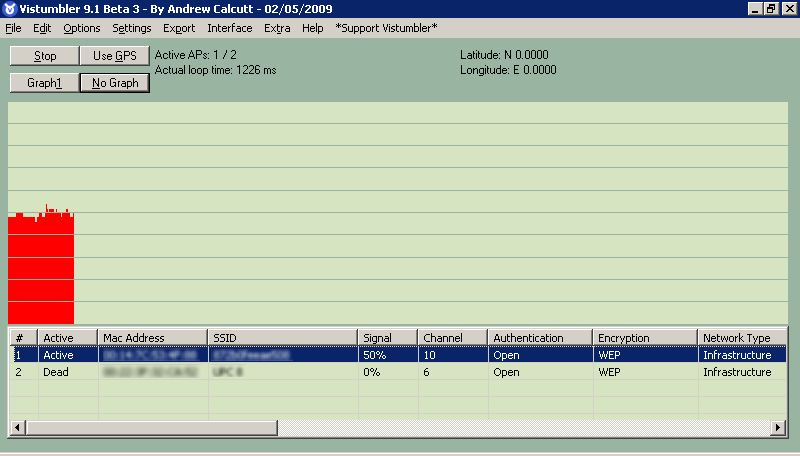 See if you can use the two new tools I added to the post, Vistumbler or inSSIder to track the signal strengh when you are trying out channels. For Ubuntu people seem to use Kismet, airsnort, aircrack-ng. I don't get any information other than the SSID. No channel, authentication, etc.. Do you have any idea why ? I don't know Scott, haven't used to tools in a while. What exactly are you using? 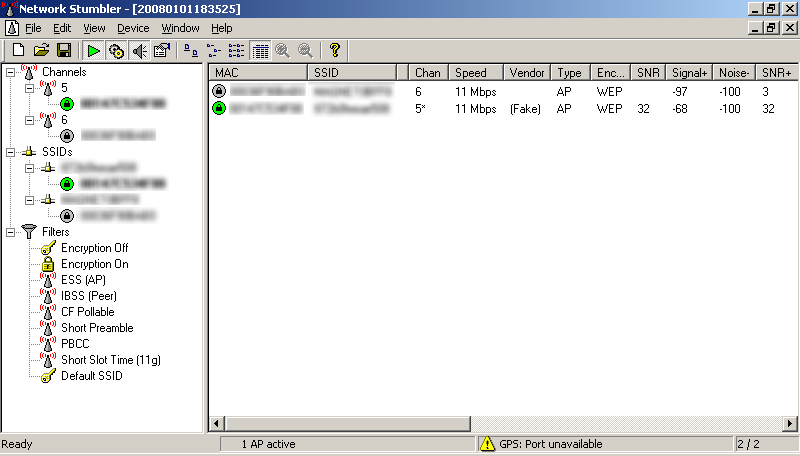 Do you see only your own wireless routers or there are others as well? Thanks for your quick reply Dan. I am running Vista Home Premium. I can see around a dozen other networks. Wait a minute, I just found the solution. I am running in French, and vistumbler doesn't work correctly unless the same language is chosen. Fixed! No problem Scott, good thing you found the solution, maybe let the author know of the problem, maybe he can make it to revert to English when language is not available. I use Linux, and there is an app called wiki-radar that works fine. 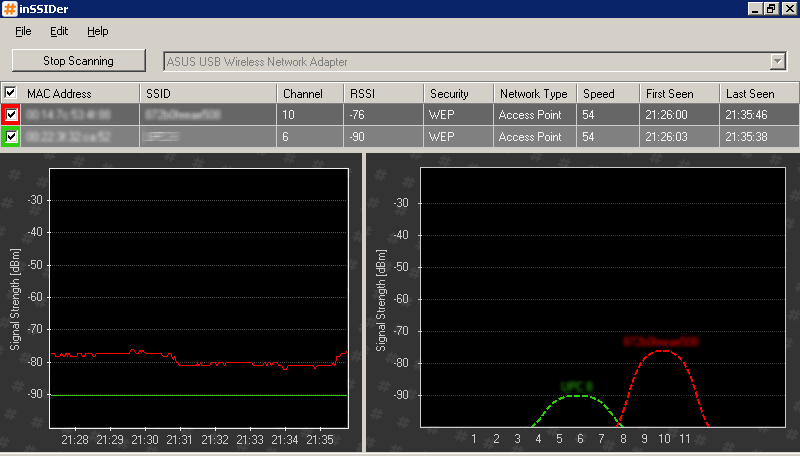 And it shows the Wifi networks and their channels. 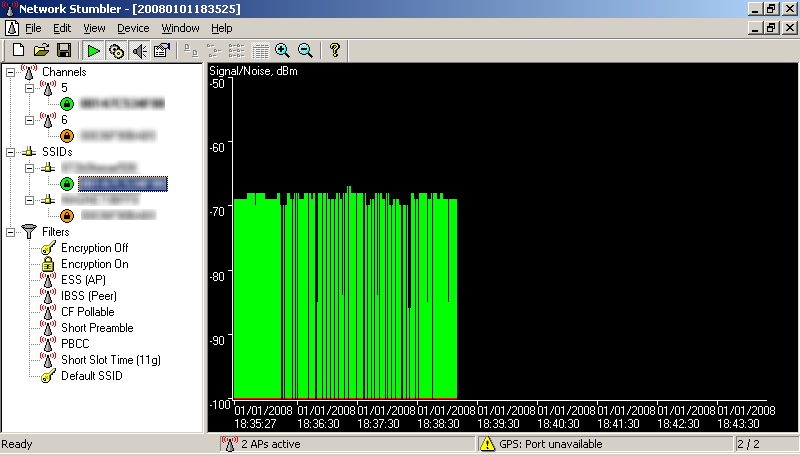 I noticed you didn't talk about the 5 GHz band. The higher the frequency of a wireless signal, the shorter its range, (channel 36 have more range than what channel 165 does). Also channel 50, 58, 106, 114, 122, 138 have wider bandwidth so they are less prone to interference. I have developed an android app that all that information and facts into consideration, analyzes nearby networks, and tells you in conclusion the best channel for 5 GHz band.